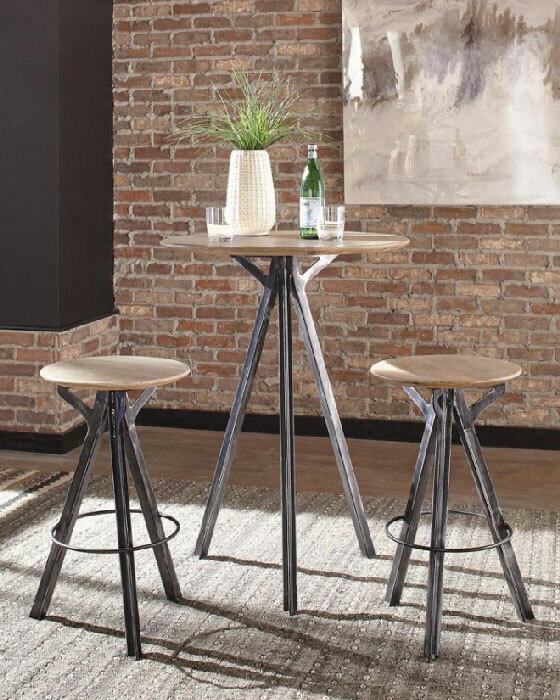 Enjoy this small space-saving Bar Height Stool. Make a big statement with its sandblasted white and gunmetal finish. 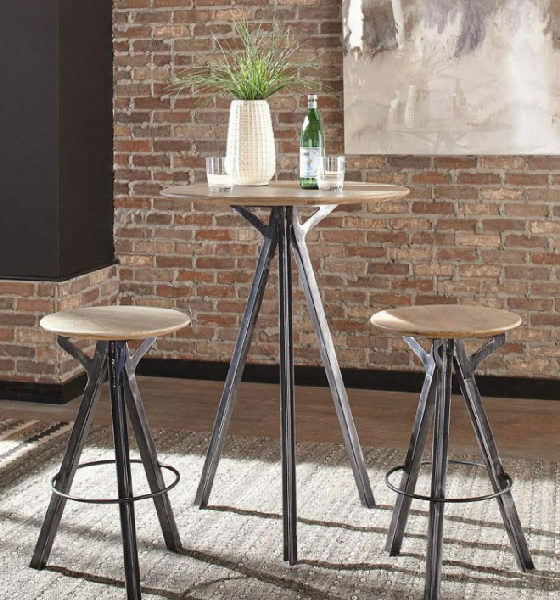 Industrial modern motif with a casual appeal. Nice Mango Wood round seat. Tripod legs for great stability.